20 pk 44 Caliber 225 HP Barnes Bullets. Free Shipping. 44 Special Bullets For Sale, 225 Grain HP XPB Barnes Bullets. XPB Bullets are an all copper XPB bullet delivering the performance of rifles to pistols. This pistol bullet will deliver more impact energy than any of the competition. 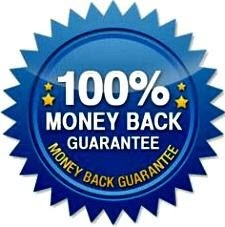 It is dependable and one of the most deadly bullets you can purchase. Since they are an all copper construction (containing NO harmful lead), they are on the forefront of technology. This bullets provides excellent expansion and the all copper design allows them to penetrate into tissue and bone better than conventional hollow point bullets. 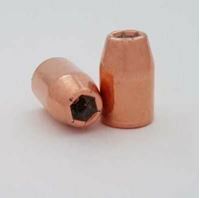 Since the bullets are all copper, leading is substantially reduced and the lighter bullet delivers a flatter trajectory and a higher velocity. CALIFORNIA RESIDENTS: The State of California has certified these bullets to be in compliance with the California Lead-Free Ban and also meet the criteria under the Condor Preservation Act. Barnes Bullets has been in business since 1932, when founder Fred Barnes began selling his bullets. Over the years, the Barnes original bullets became well known as the main choice for taking big African Game. In 1967 the company was purchased by Randy and Coni Brooks and moved to Colorado. In later years, they moved to Utah and is acquired by Remington Outdoor Company in 2010. Barnes was one of the first to develop copper bullets and they continue to be the leader in all copper bullets.